So you’ve experimented with an indoor security camera and want to extend surveillance to the outside of your home. 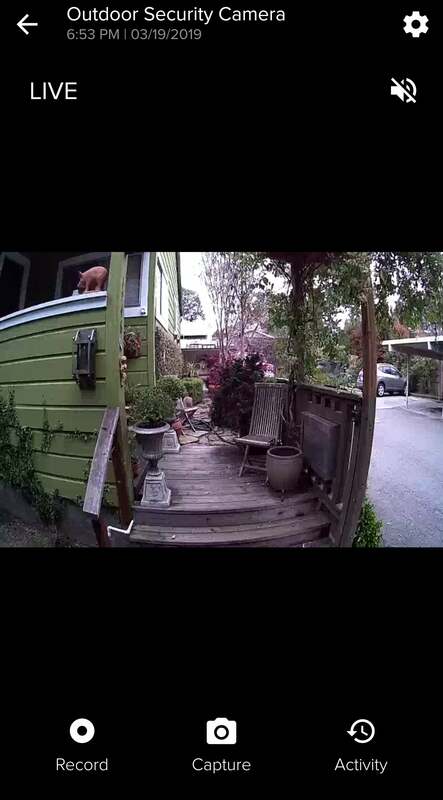 The Swann Outdoor Security Camera is a fairly low-risk entry point. This weather-protected camera offers full HD video (1080p), motion detection, and smart-home integration for $99 (street price). While it lacks the sophisticated features of cameras like the Nest Cam IQ Outdoor and Arlo Pro 2, its modest price and short learning curve make it ideal for first-time users. The bullet-style camera measures 2.36 x 7.3 x 3.15 inches and weighs one pound. The enclosure has an operating temperature of 4 degrees to 113 degrees F and an IP66 weatherproof rating, meaning it can withstand powerful jets of water and is completely protected against dust. At the back of the enclosure is an adjustable Wi-Fi antenna and a hardwired “tail” of cables that include a power port, ethernet connector, and a reset button. The camera itself has a 110-degree field of view and captures video in 1080p full HD. Also visible on the face are microphone, a PIR motion sensor, an ambient light sensor, and two infrared LEDs that work together to provide up to Up to 100 feet of automatic night vision. The camera features a pair of LEDs for up to 100 feet of night vision. In addition to viewing the camera’s live feed on your smartphone, you can stream it to your Echo Spot, Echo Show or 4K Fire TV using Amazon Alexa voice commands. You can also use Google Assistant and a Chromecast to stream video to your TV. As with the Swann Indoor Security Camera we recently reviewed, video clips are stored in onboard memory for seven days. You can upgrade to 30 days of the cloud video history with a subscription to Swann’s ExtraSafe cloud recording plan for $50 a year. To connect the camera to your Wi-Fi network, you need to download the Safe by Swann app and create an account. 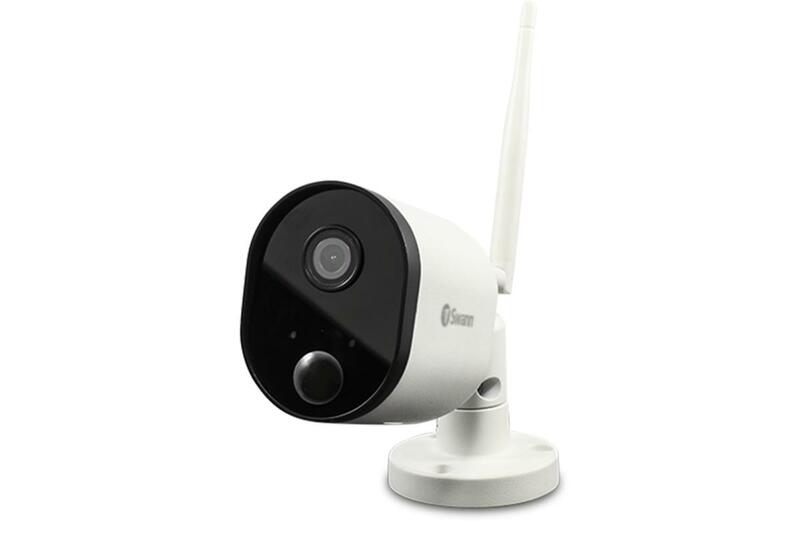 The process for adding the camera is similar to setting up other smart devices, in which you first connect to Swann’s network and then log into your own. The camera appears as a tile on the app’s dashboard. Image quality is sharp with a small amount of fisheye distortion around objects close to the lens. Hardware and a mounting template are included for installing the camera. Wherever you decide to place it, you’ll need a way to thread the power cable back into your home, because the supplied AC adapter isn’t weatherproof. That means you’ll need to drill a hole in your exterior wall if a window or vent isn’t an option. The camera comes with a 60-foot extension cable, so you have some flexibility. Once the cable is inside, you just need to plug the AC adapter into the power port of the extension cable to turn it on. If your Wi-Fi signal isn’t strong enough to maintain a connection to the camera, you can also plug the ethernet connector from the extension cable into your router. Tapping the camera’s tile on the app dashboard opens the live feed screen. The image was consistently bright and sharp, with a negligible mount of fish-eye distortion of objects very near the lens. Night vision illumination was excellent with strong contrast. You can zoom and pan the image using finger gestures, though there’s a significant drop in clarity the more it’s enlarged. Below the live stream are buttons for recording video, capturing a screenshot of the feed, and accessing a library of recorded clips. The camera’s mic allows you hear what’s going on outside—but not communicate back—and it can be muted and un-muted from the is screen. The camera was accurate in detecting people and the occasional critter, thanks to the PIR sensor, which only picks up body heat and ignores motion from swaying tree limbs, cars, and other outdoor culprits. Alerts were prompt and tapping them took me right to the video clip of the triggering activity. 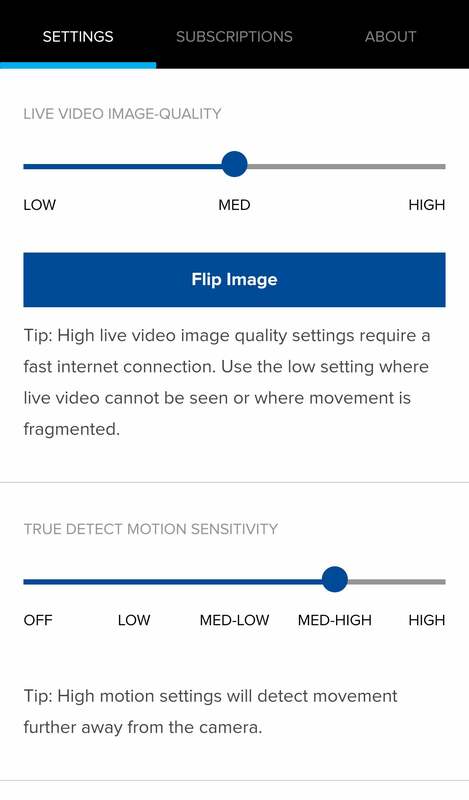 You can easily adjust detection sensitivity using a slider in the camera’s settings menu. As with the Swann Indoor Security Camera, though, a scheduling feature was missed. Without it, I had to remember to turn off motion detection if I wanted to be undisturbed by alerts when I was home. 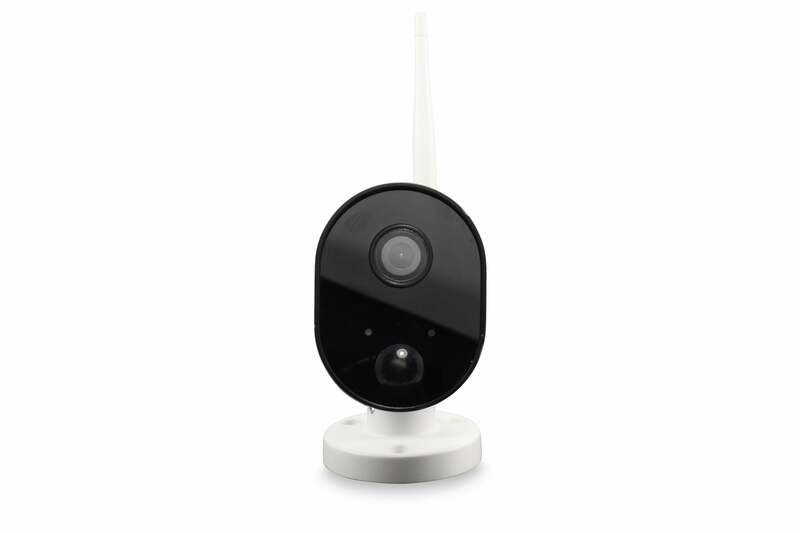 You can adjust the sensitivity of the PIR sensor to detect people closer to or father away from the camera. Captured video clips are sorted chronologically on the app’s Activity screen, with most recent clips at the top. These can be advanced and rewound in 5-second increments during playback. Clips can be downloaded to your phone or deleted from the playback screen. The Swann Outdoor Security Camera is a solid choice for keeping an eye on your porch, yard, and other areas outside your home. Though two-way talk and motion alerts are missed, the camera’s basic features and straightforward operation make it ideal for security-camera novices and anyone who prefers a simpler security experience than our editors’ picks offer.